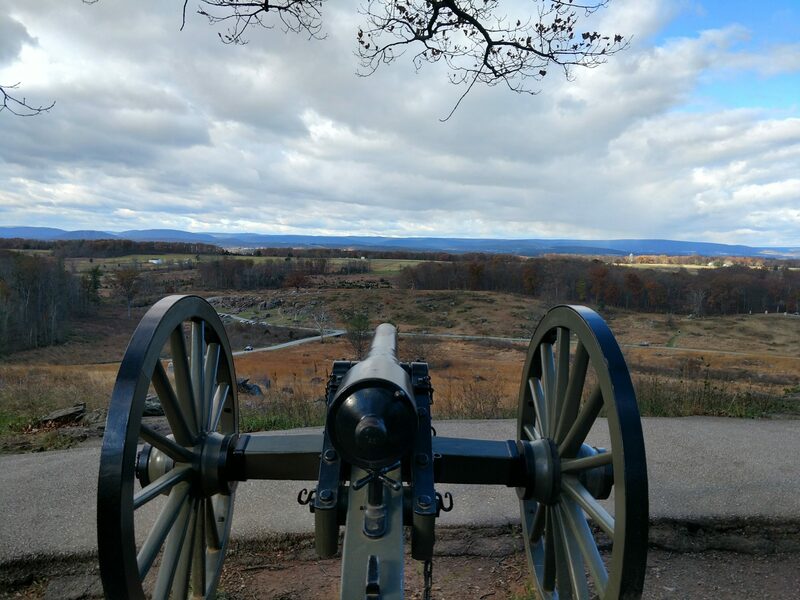 Today’s guest post comes from writer David Bruns. David is a former US Navy submarine officer turned corporate executive turned science fiction writer. In his spare time, he co-authors contemporary thrillers with retired naval intel officer, JR Olson. They write stories based on current events that seem less like fiction every time they read the news. I got that text from my writing partner a few weeks ago, the same day a young Muslim man in St Cloud, Minnesota walked into his local mall and started stabbing people. The aftermath of the incident went down just like the research for our novel Jihadi Apprentice said it would, right down to the Joint Terrorism Task Force (JTTF) taking over and ISIS claiming responsibility. JR and I co-write what we call “contemporary thrillers,” which means we get our plot ideas from current events. 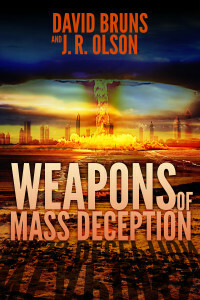 In our first book, Weapons of Mass Deception, we set the big climactic scene at the opening of the new Minnesota Vikings stadium, an event that happened last month (Just in case you think we have clairvoyant abilities, there were no rogue Iranian nukes at the stadium opener… that we know of). In early 2015, as we were casting about for a topic for our next book, the big news story in Minnesota was six Somali men arrested for planning to leave the United States and fight alongside Islamic extremist groups, such as ISIL or al-Shabab. Why? we wondered. These young men were natural-born American citizens. What could induce them to want to leave the US to fight for a foreign entity? JR wrangled a chat with an FBI agent who was knowledgeable about the case. We also got an introduction to some contacts in the local Somali community for another perspective. But things really started to take off when we met with Dr. James Densley, a professor of criminal justice who has spent his career researching gang culture. According to Densley, ISIS – and organizations like them – are “street gangs on steroids.” Gangs recruit young people at the vulnerable age of late teens and early twenties–young people who want to believe in something bigger than themselves, who want to take part in a grand adventure and make their mark on the world. By the end of that meeting, we had our story: we were going to tell how someone became radicalized. 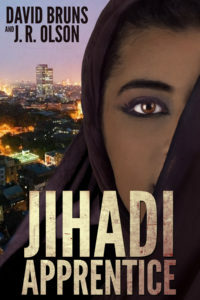 The week the book came out, almost a year after we started writing it, three young Somali men went to trial on federal charges of plotting to commit murder overseas and conspiring to provide material support to a terrorist organization. They were convicted. Sentencing for these three and the others who pled guilty is set for later this year. I’d like to tell you that we wrote this book as a social statement to humanize these unfortunate young men whose lives have been ruined by this pernicious threat. But we didn’t. We set out to write a great thriller filled with action and adventure. We followed the conventions of the genre: there’s a big face-off scene between the radicalized young women against the lone FBI agent and—spoiler alert—good triumphs over evil. But maybe fiction has a role to play here after all. The one remarkable outcome of our research into the issue of homegrown radicalism was that everyone—and I mean everyone—we talked to had the same solution: we need to be more integrated as a society, we need more dialogue with our minority and immigrant communities. There is no silver bullet answer to this issue. The only thing we can do is stay vigilant and rely on personal connections to catch individuals who start to lose their sense of self. Writing instructor Christopher Vogler has a saying about fiction: “A story is a conspiracy to teach a lesson.” In other words, even in the most commercial of stories, we are wired to seek a moral lesson from the experience. It’s the reason we indulge in fiction in the first place. Jihadi Apprentice gives readers a fictional glimpse into the psyche of a radicalized person, but what’s the moral of our story? Certainly not sympathy for terrorists. Both of us are veterans who believe the War on Terror is a matter of urgent national security and we should be doing a lot more to win it. Still, for the past fifteen years, our country has been fighting a war against an ideology. But ideas don’t bleed, people do—and that’s where storytelling comes in. If we tried to write a book with a character called “radical Islam” it would be a total disaster. There’s nothing for a reader to relate to, nothing to draw you into that story. Yet our leaders insist on politicizing the term “radical Islam” as if by labeling it we gain some moral victory. To get at the lesson of Jihadi Apprentice, let me tell you a story. Shortly after the St Cloud attacks, a Minnesota restaurant owner put the line “Muslims Get Out” on his billboard. He’s lucky to live in a free society where he has the right of free speech, but his message misses the point. The young man in the St Cloud mall wasn’t stabbing people because he was a Muslim, he was a Muslim who stabbed people. There’s a difference. The lesson of our book is humanity. Yes, a thriller is a clumsy vehicle to make a moral argument. No, we didn’t set out to write a gospel of tolerance. But the lesson is there all the same. If the higher purpose of storytelling is to humanize a lesson, then here’s our take on how to fight the threat of homegrown radicalism. The moment we label another person based on their skin color or religion, we’ve done the bidding of the terrorist. The instant we place another human being in the “other” category simply because they’re not like us, we’ve lost the battle. Hopefully, we can still win the war. Enjoy what you just read? Please share via social media using the buttons below.